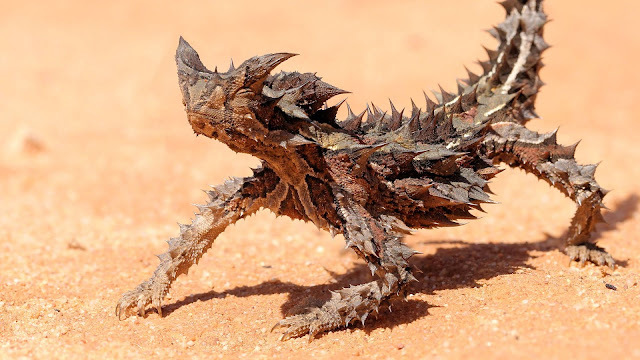 Thorny devils (Moloch horridus) are thought to have branched away from another lineage of lizards, about 15 million years ago. The thorny devil is quite different when compared with other lizards. It is found in Australia. its look; the two large horned scale on its head gave it its name. The thorny devil also known as the mountain dragon or thorny dragon dissuades attackes by predators with its hard spines and scales covering all part of its body. 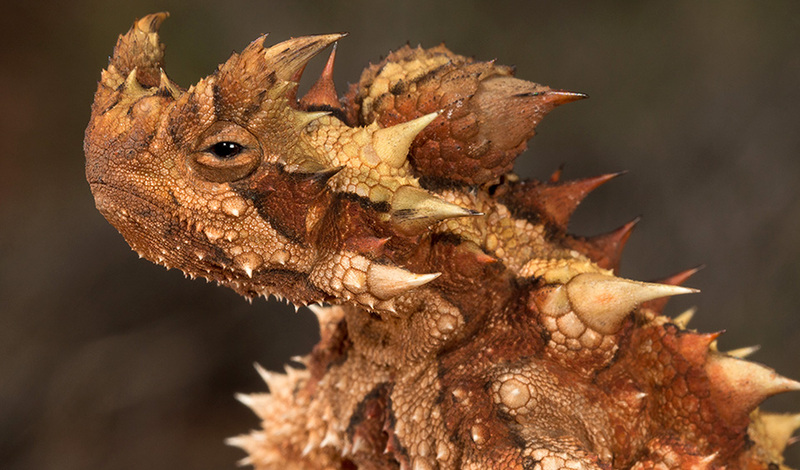 Swallowing the thorny devil is quit a difficult and painful task and that sure gives predators a frustrating and tough time. Most of the lizards are camouflaged in shades of desert brown and tan. Thorny dragons grow up to 7.9 inches and the females are usually larger than the males. Their life span is usaully between 15-20 years. The Thorny dragon lives in arid scrubland and deserts, feeding mainly on ants. 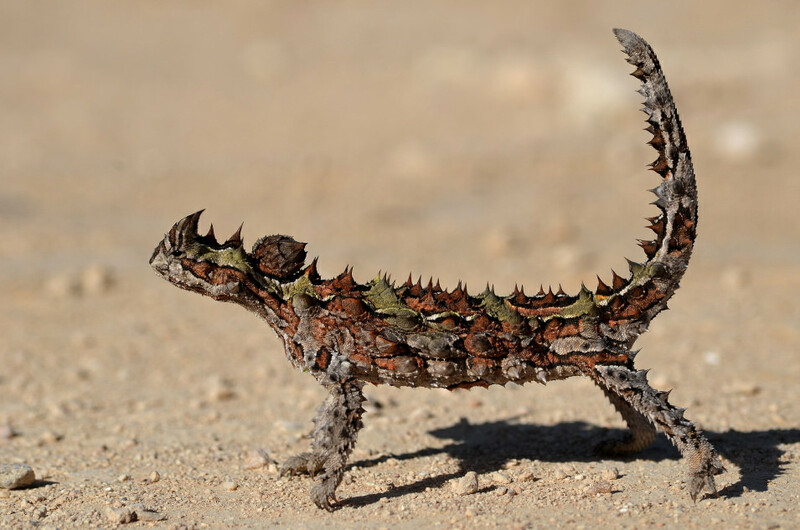 The Moloch horridus is of least concern in the IUCN redlist.